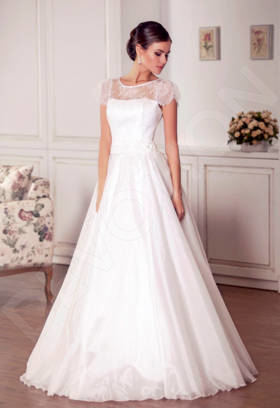 This enchanting empire-style wedding gown put yours your femininity and grace on a pedestal. The light draping on the scoop neckline adds volume in all the right places, and the empire waist skirt with a slight flare visually lengthens your silhouette. The straps with bead and rhinestone appliqué add a pop of sparkle, and the wide sash with a bow adds an elegant finishing touch. 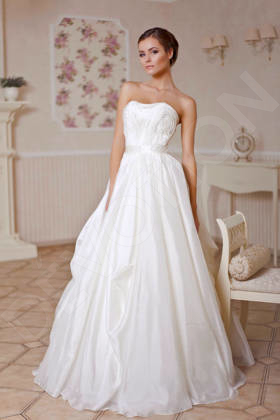 Be a bride of unparalleled beauty in this breathtaking gown.